The Scottish Vocational Qualification (SVQ) in Accessing Operations and Rigging (Construction): Scaffolding at SCQF level 5 allows candidates to demonstrate competence in job-related skills in their area of work and expertise. This qualification covers areas such as general workplace health, safety and welfare; productive work practices; and erecting and dismantling scaffolds and towers. This qualification has been designed by the ConstructionSkills Sector Skills Council to ensure relevance to the sector. This qualification is available through employers and training providers. Successful candidates will gain an internationally-recognised qualification which guarantees that they have the skills, knowledge and abilities required to carry out their role successfully. Employers will also benefit from their employees being proficient. Assessment is carried out in the workplace, which minimises any time learners would need to be away from their work. The SVQ Accessing Operations and Rigging (Construction): Scaffolding at SCQF level 5 consists of eight mandatory units. For details of the Units making up the SVQ, please refer to the Qualification Structure. This SVQ is a mandatory component in the SCQF Level 5 Construction-Civil Engineering and Specialist Sector Modern Apprenticeship. This qualification is now in its lapsing period and will finish on 31/08/19. 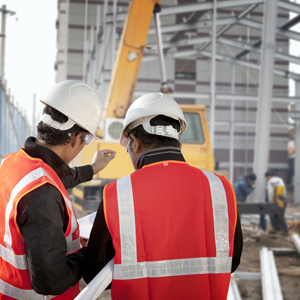 This qualification is also part of the Construction-Civil Engineering and Specialist Sector Level 2.